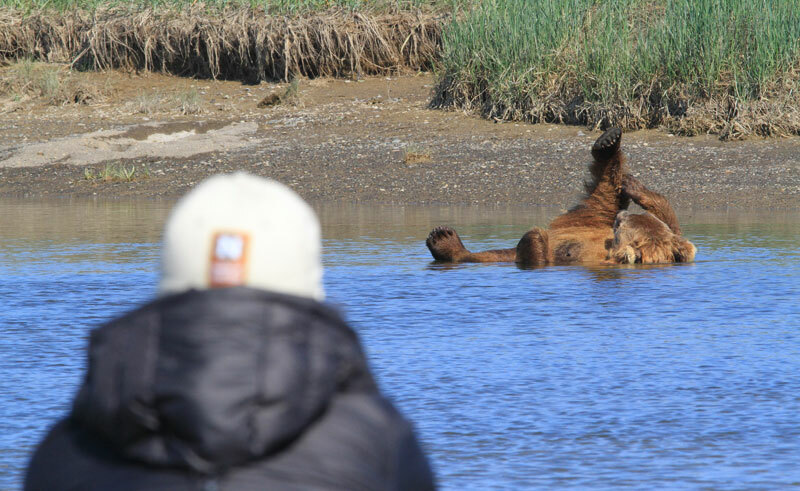 Stay in Katmai National Park with its excellent opportunities for bear viewing. Brooks Falls is quite simply the best place to be in July and September, when brown bears gather to feast on sockeye salmon. Boasting spectacular scenery and abundant wildlife within easy reach of Anchorage, and with a choice of duration, this is an ideal extension to any Alaska holiday. 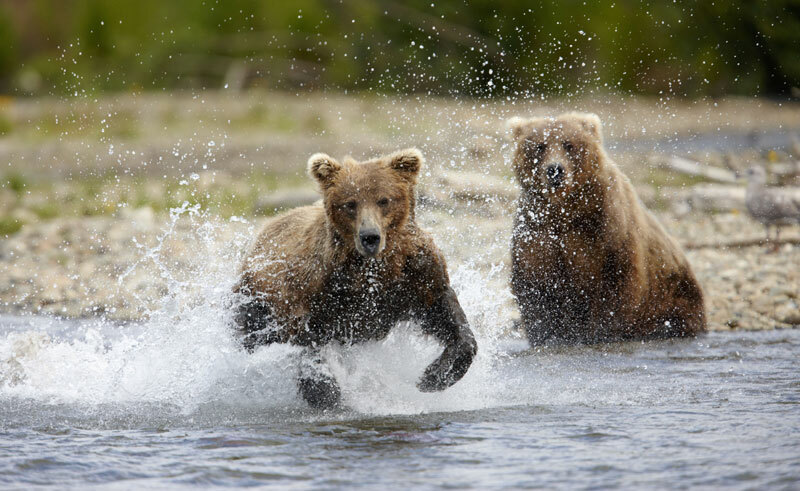 Though you can visit Katmai National Park on a day trip, we would recommend spending a night or two in the park to really maximise your chance of seeing as much wildlife as possible. Easily accessible by air from Anchorage, fly to King Salmon where you'll board the floatplane for the onward journey to Brooks. 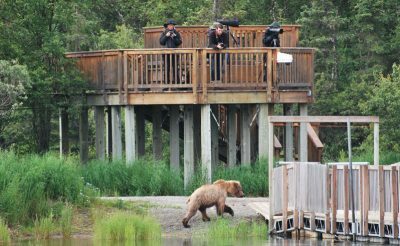 Bears can usually be seen throughout the summer with prime viewing opportunities from the end of June to the end of July, and again in September. For its in June and July that salmon make the epic journey from open sea, via rivers, lakes and streams, and an impressive leap up the 5-foot Brooks Falls to their spawning grounds to deposit their young before dying. 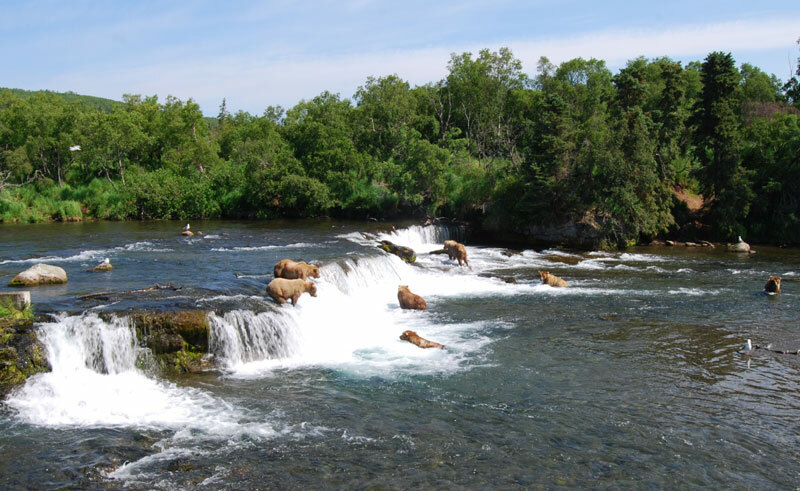 It is during this journey upstream that as many as 40-50 brown bears gather along the Brooks River and at the Falls, feasting on this abundant food supply. Later in the season (September) after the salmon have spawned, the bears return to enjoy easy pickings amongst the now dying fish as they float back downstream. Brooks Lodge is simple but comfortable accommodation offering wooden cabins each with 2 sets of bunk beds and a private washroom. 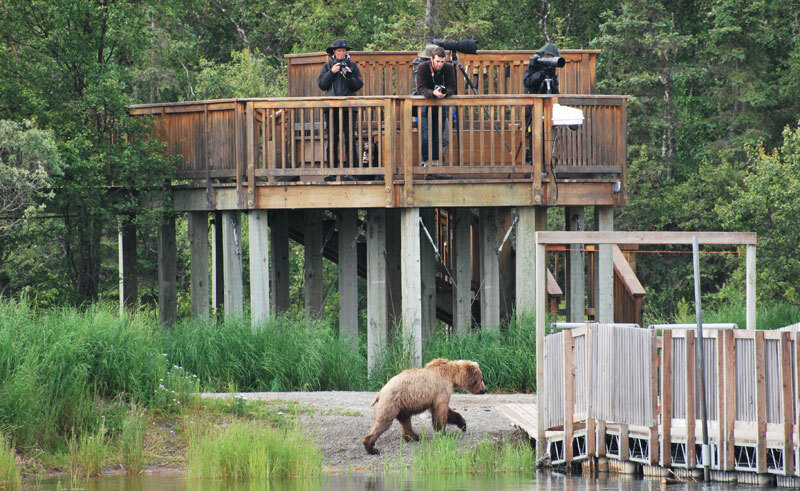 Facilities are limited, but the location is unbeatable - overlooking the Brooks River this is the only accommodation available within Katmai National Park. As such it is in high demand and early booking is essential. Make your own way to Anchorage Airport for your early morning flight to King Salmon / Kulik. 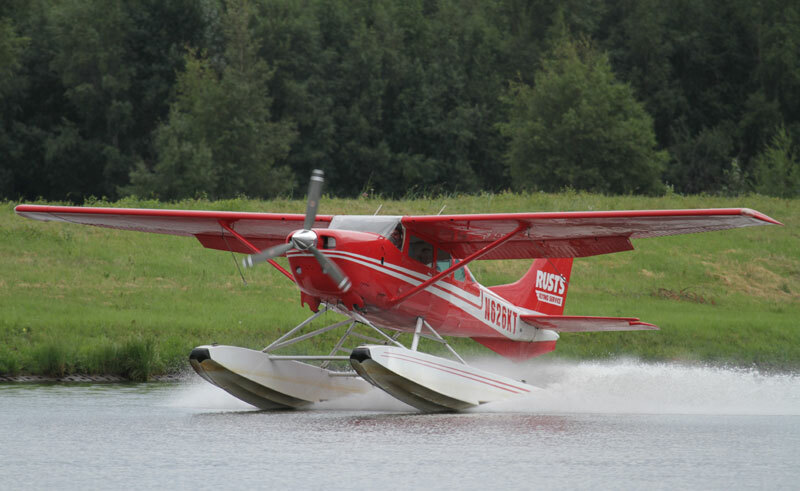 On arrival transfer to the floatplane docks on the Naknek River for your onward journey to Brooks Lodge for an overnight stay. On arrival at Brooks you will be met by National Park staff for a brief orientation; the remainder of the day is yours to spend watching the bears and other wildlife. 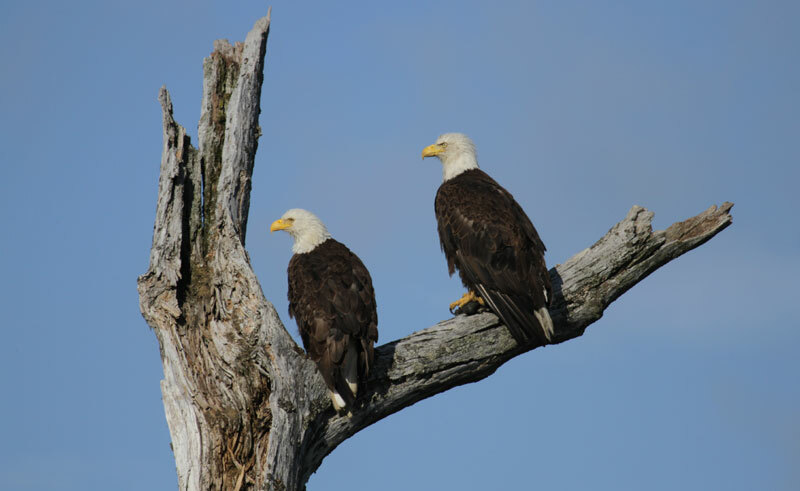 After a final chance to visit the viewing platforms this morning, you will return by floatplane and then twin-engine plane back to Anchorage, arriving late this evening.